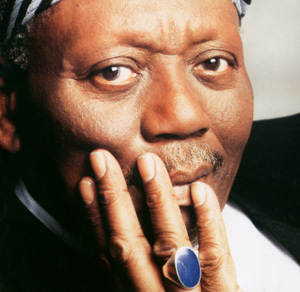 Randy Weston, internationally renowned pianist, composer and bandleader, has performed throughout the world. "Weston has the biggest sound of any jazz pianist since Ellington and Monk as well as the richest most inventive beat," -jazz critic Stanley Crouch stated. James Reese Europe was an American ragtime and early jazz bandleader, arranger, and composer. In 1918, Lt. James Reese Europe made military and music history by being the first African American to lead troops into battle during World War One and to spread the 'jazz germ' throughout continental Europe. Mr. Europe obtained a Commission in the New York Army National Guard, where he saw combat as a lieutenant with the 369th Infantry Regiment (the "Harlem Hellfighters"), the band of which he directed to great acclaim. African Rhythms Orchestra: T.K.Blue — saxophones, Neil Clarke — percussion, Alex Blake — bass, Howard Johnson — tuba, Vincent Ector — drum, Ayodele Ankhtawi Maakheru — banjo and Robert Trowers - trombone.